Gosnell: America’s Biggest Serial Killer is quickly becoming the film that everyone is talking about. The independent true-crime drama about notorious abortionist Kermit Gosnell made it into the Top 10 movies at the box office this past weekend, in spite of its limited release and the mainstream media’s attempts to have it blacklisted. Days later, Gosnell continues to perform well--according to Box Office Mojo, the movie climbed even higher, reaching number 9 this week. Not bad for a film with a small budget, and no small number of enemies. 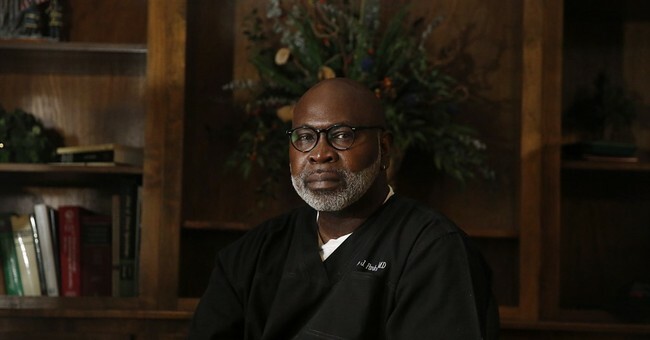 But in spite of the crowd-funded film’s strong success with audiences around the country, a prominent abortionist is sounding the alarm about Gosnell, calling the movie a “safety risk” for abortion doctors like himself. Gosnellof course tells the true story of the investigation and subsequent trial of Philadelphia abortionist Kermit Gosnell. Gosnell, now serving a life prison sentence for the conviction of the murder of three infants born alive in his clinic, worked as an abortionist for 30 years prior to being charged in the gruesome killings. Far from being a propaganda piece, the film relies heavily upon actual trial transcripts and the 280-page grand jury report.There is no gore in the movie, either--viewers wanting a look at one of the grisly photos used as evidence in the trial will need to visit the film’s website to see it. Gosnell’s co-producers--investigative journalists (and husband and wife) Phelim McAleer and Ann McElhinney teamed up first for the NYT-best selling book, and then for the film--have also consistently maintained that they did not consider themselves pro-life prior to taking on the project. It was, in fact, the now-famous photo of “Baby Boy A”, available on the Gosnell website, that eventually changed their minds. That photo, along with the national media’s refusal to attend and report on the abortionist’s trial, compelled them to tell Gosnell’s story. But abortionist Dr. Parker, who is a self-proclaimed abortion activist and past winner of Planned Parenthood’s “Margaret Sanger Award”, appears to believe that those promoting the film are motivated by nothing more than a political agenda. The abortionist did not make it clear whether or not he himself had yet seen Gosnell.